Daily life: Soaking in the sun, coming inside, drink lots of water, nap on couch, repeat. With walks in the morning and later in the day or early evening when it is cool out. 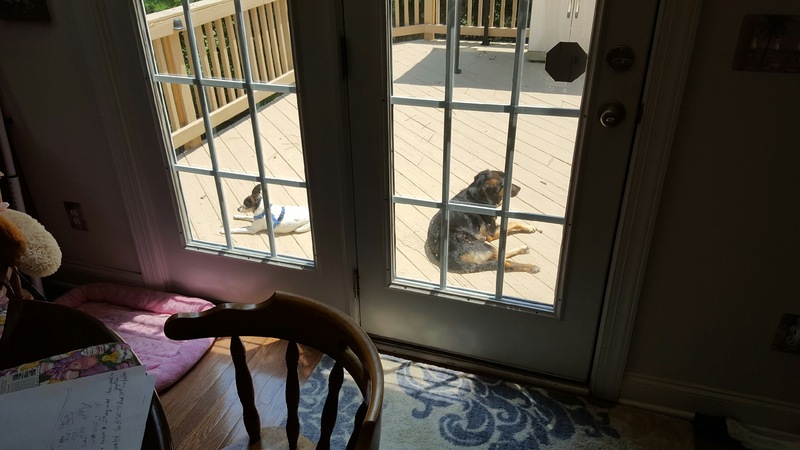 Auntie snuck a picture of us soaking in the sun. 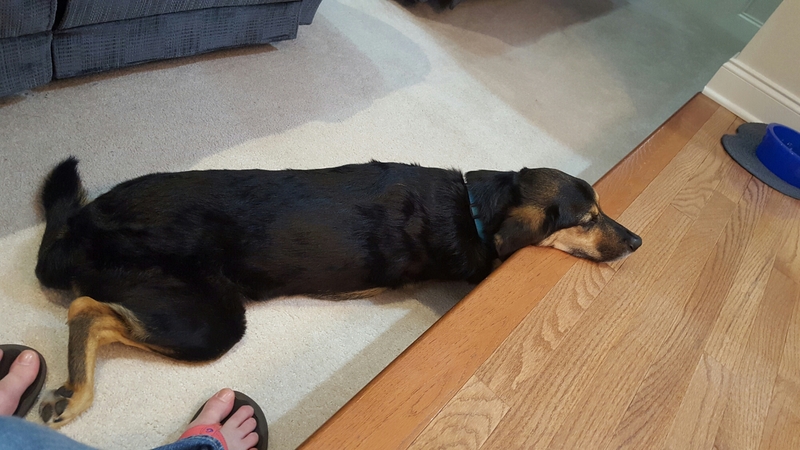 After doing this routine for several days I decided that watching my human from the floor using the step as a head rest went best with my lazy days in the summer heat.